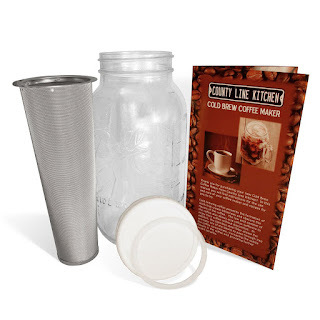 I'm not much of a coffee drinker but my son is I purchased this 2 Quart (1/2 Gallon) Cold Brew Coffee Maker and Tea Infuser with Mason Jar and Stainless Steel Filter by County Line Kitchen and have been using it to make tea. My son will probably take it over for his coffee, but he will have to wait until I get a couple of batches of tea made first since his coffee takes so much longer to brew. To make coffee or tea, just put your grounds or tea leaves into the cone. The more you add, the stronger your coffee or tea will be. Be sure to leave a couple of inches so all your grounds or tea leaves can be thoroughly wetted. Next you will add water. Then, the hard part is waiting. 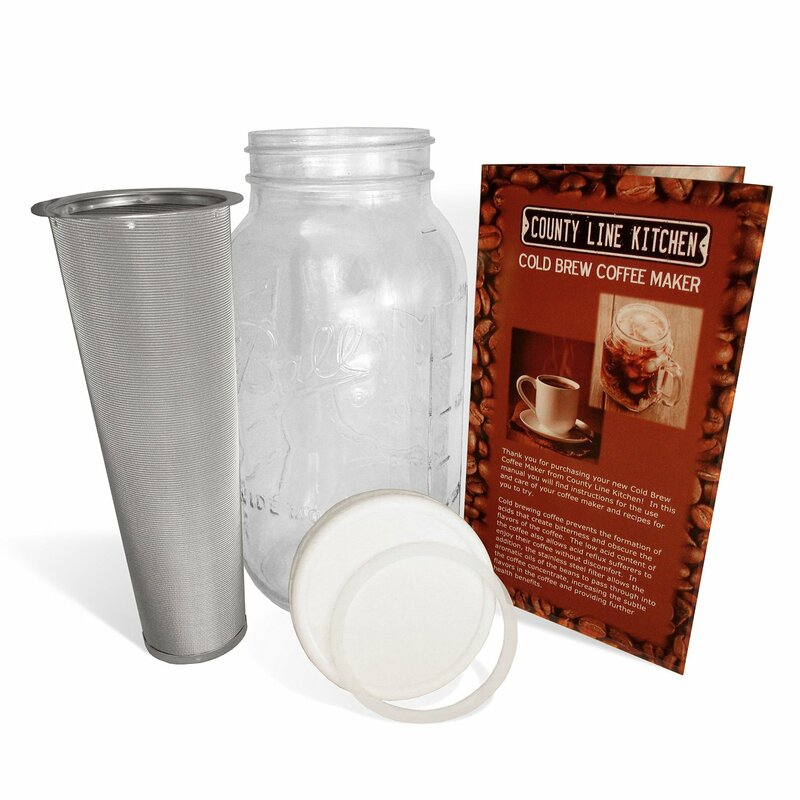 It takes about 12 hours, or anywhere up to 24 hours for your coffee to be finished. The seal is tight, so you can give it a good shake after an hour or so to make sure that the grounds are wetted thoroughly, which will give you much better results.